This animation depicts a trackside scene of a train shed with exterior illuminated light. The chimney on the shed smokes continuously. 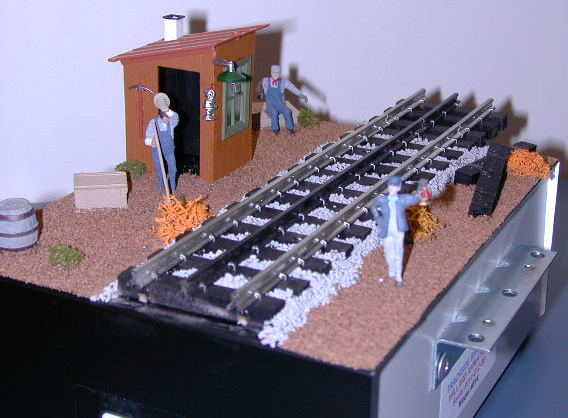 A Gargraves track section sits adjacent to the shed and next to the track is a brakeman holding a realistic flickering lantern. Any type of track can be used. This unit matches up to the track crew perfectly to create a two-piece diorama that has to be seen to be believed. Fully landscaped and easy installation.